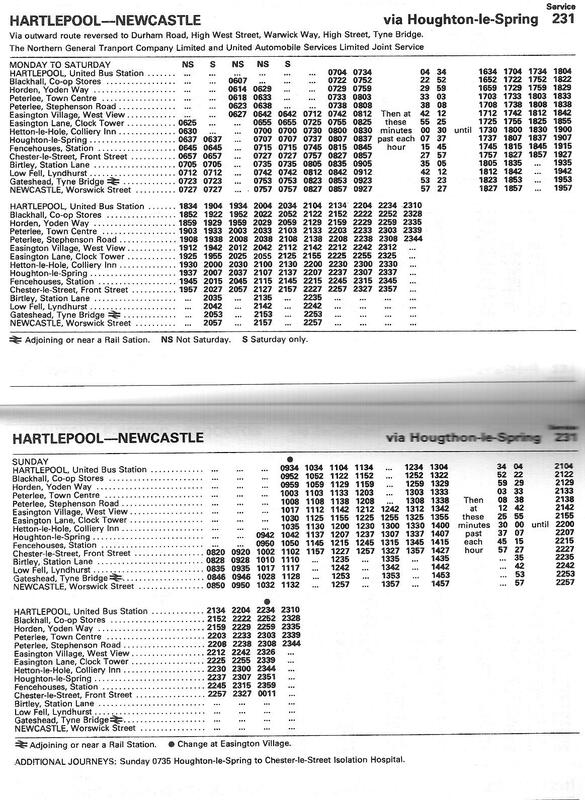 The old 231 was an epic journey between Newcastle and Hartlepool that stopped everywhere and took nigh on two hours to complete. 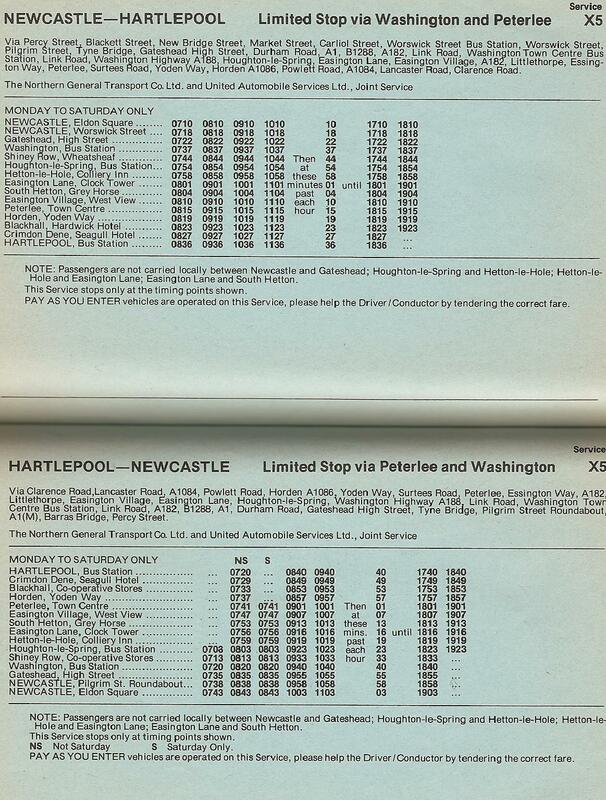 There was a limited-stop express service that also operated between Newcastle and Hartlepool (X5), so I don’t think that this service was aimed at anyone who needed to commute between the two areas. 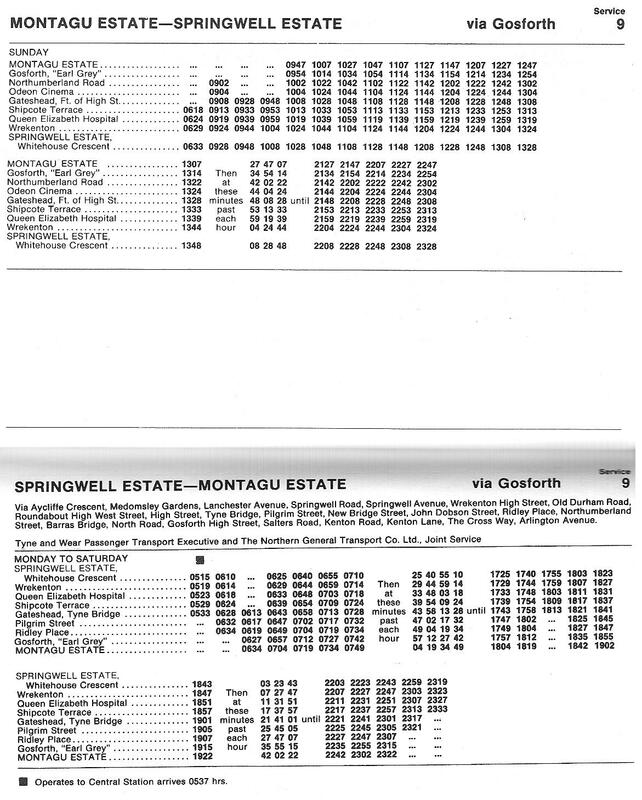 But, as mentioned, the X5 was a limited-stop service that stopped only at ‘the timing points shown’ without any additional stops. 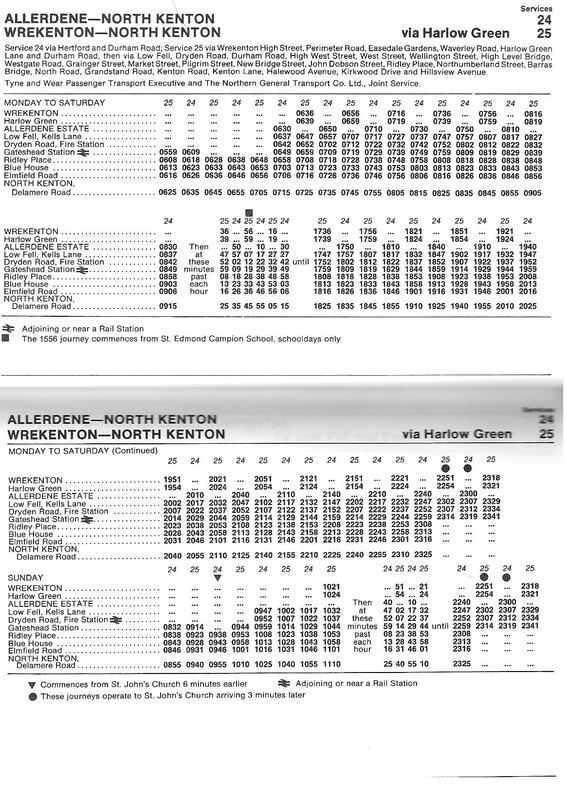 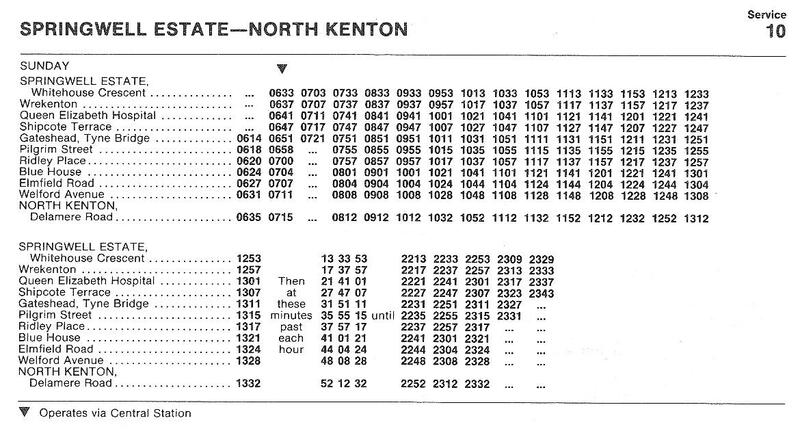 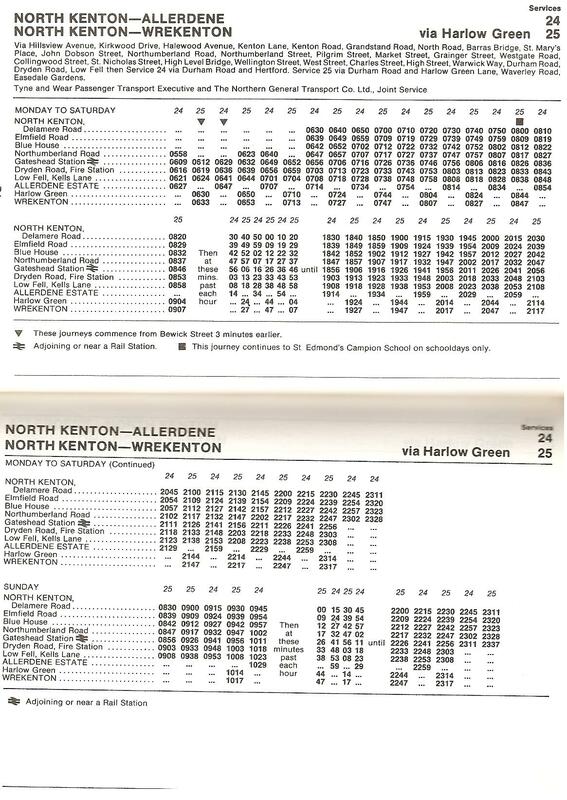 So if you lived in a village/community that the X5 did not stop at; then you were stuck with the 231. 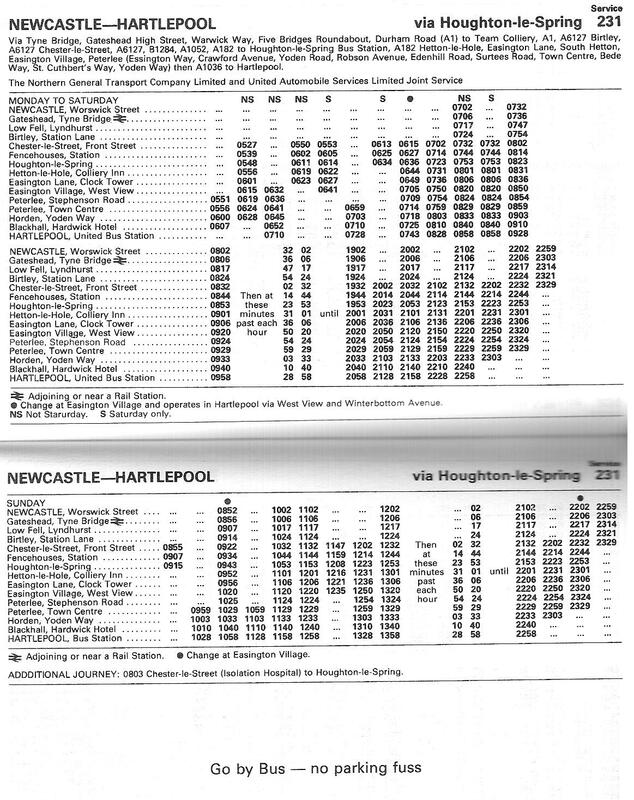 Both services operated a similar route between Houghton-le-Spring and Hartlepool operating via Peterlee and Blackhall Rocks. 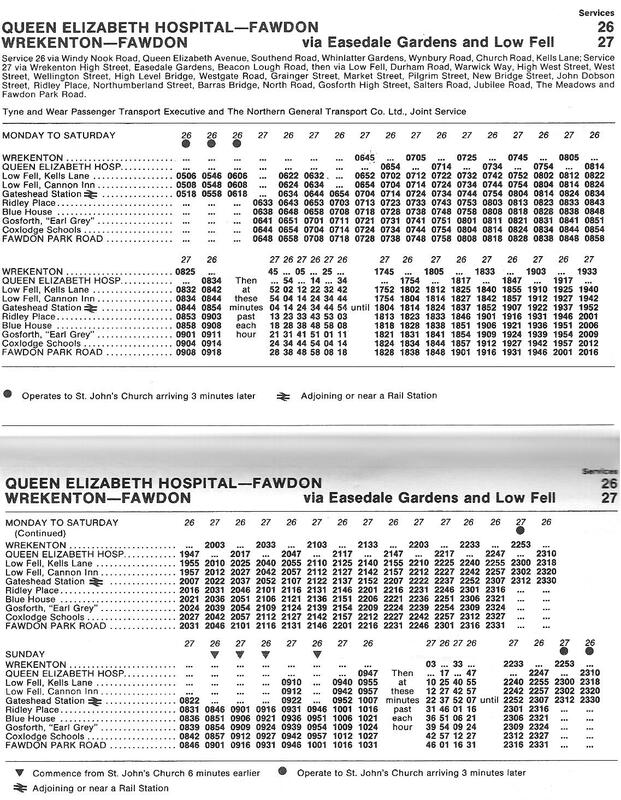 Before the routes merged so to speak, the X5 operated the exact same route as the current ‘Red Arrows’ X1 services does now via Washington, whilst the 231 operated via Chester-le-Street and Birtley. 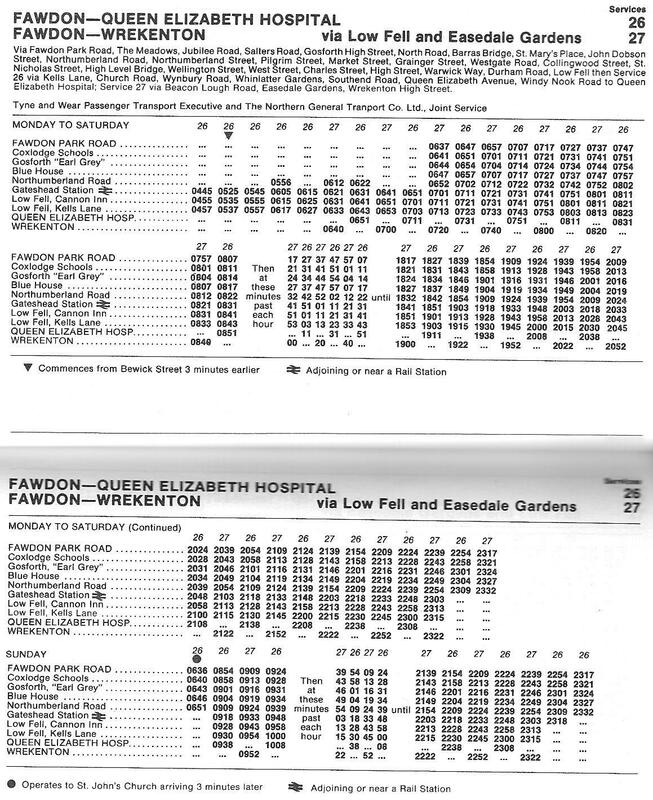 The 231 started/terminated at Worswick Street whilst the X5 operated from Eldon Square via Worswick Street although in later years both services went to Eldon Square once Worswick Street had closed down. 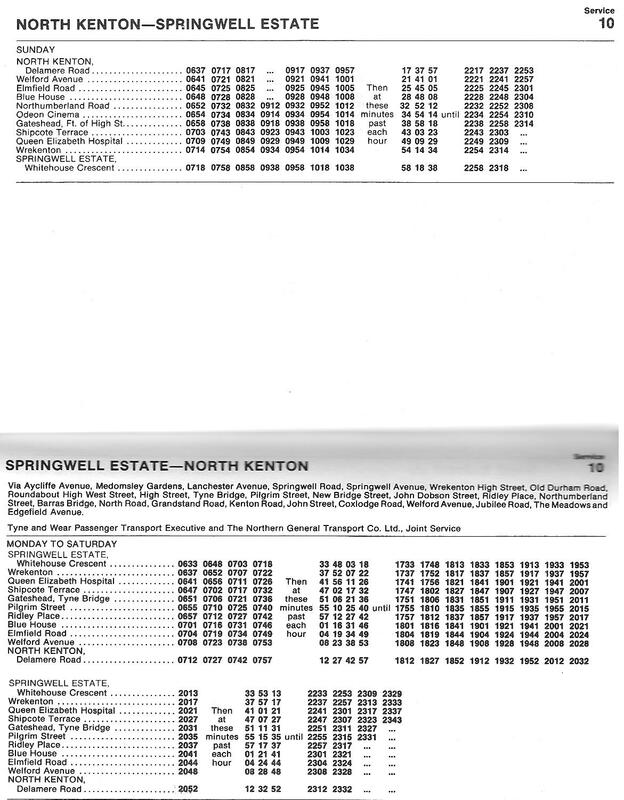 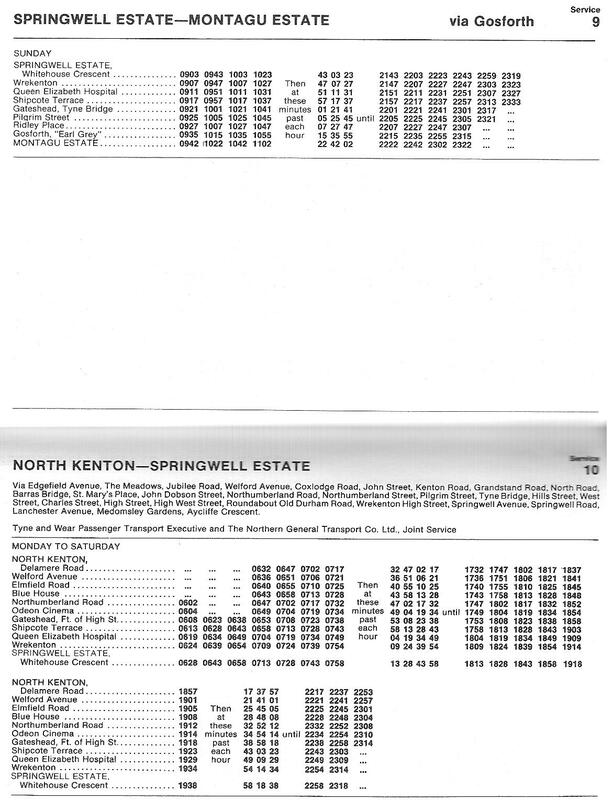 Both services were operated jointly by United and Northern. 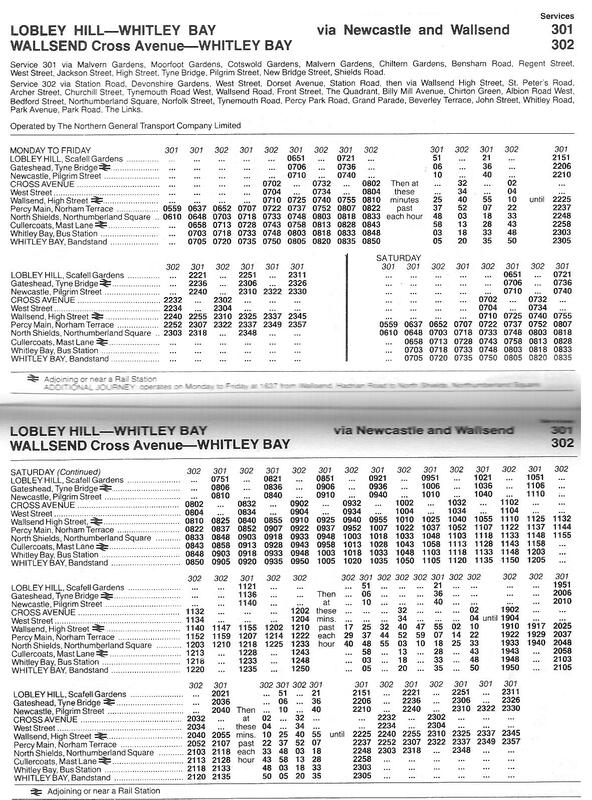 More United services in the western suburbs of Newcastle. 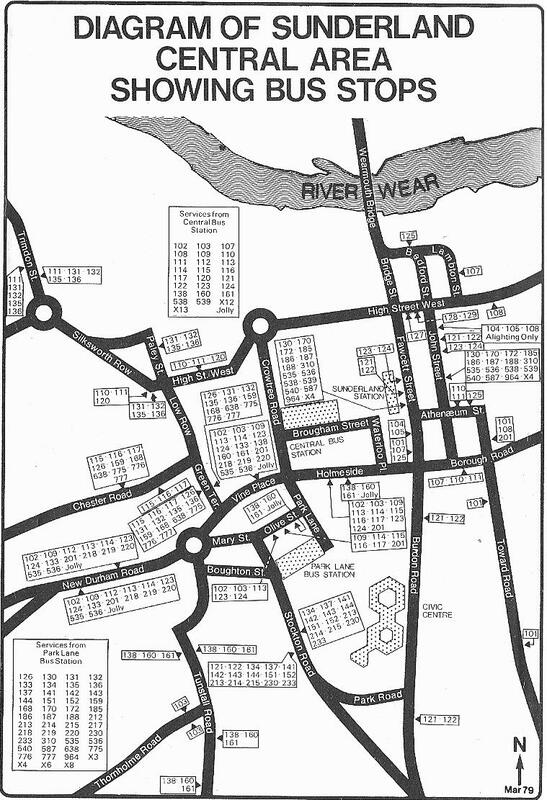 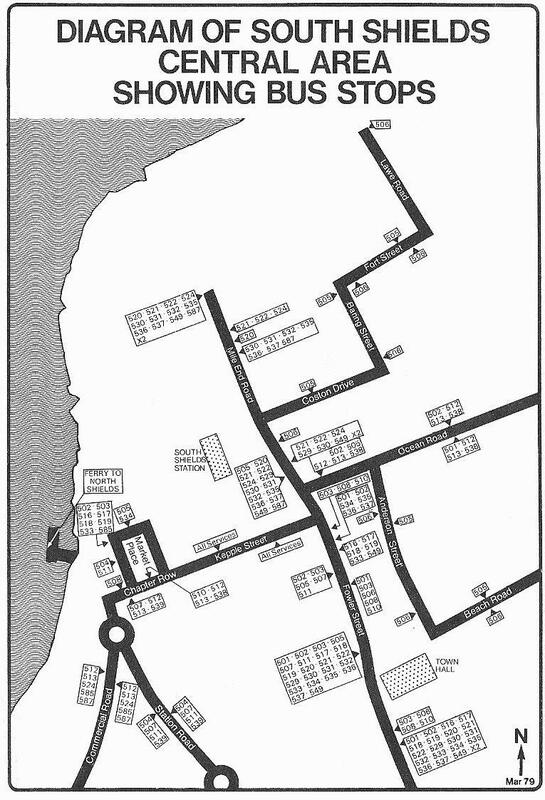 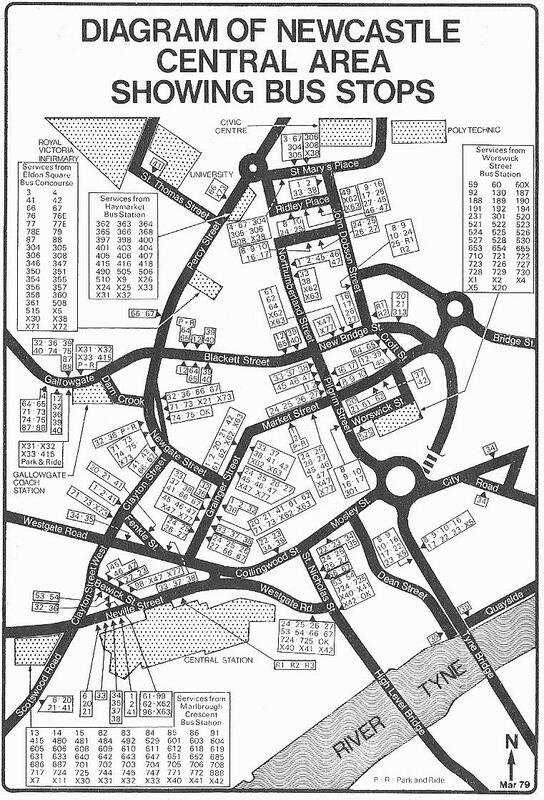 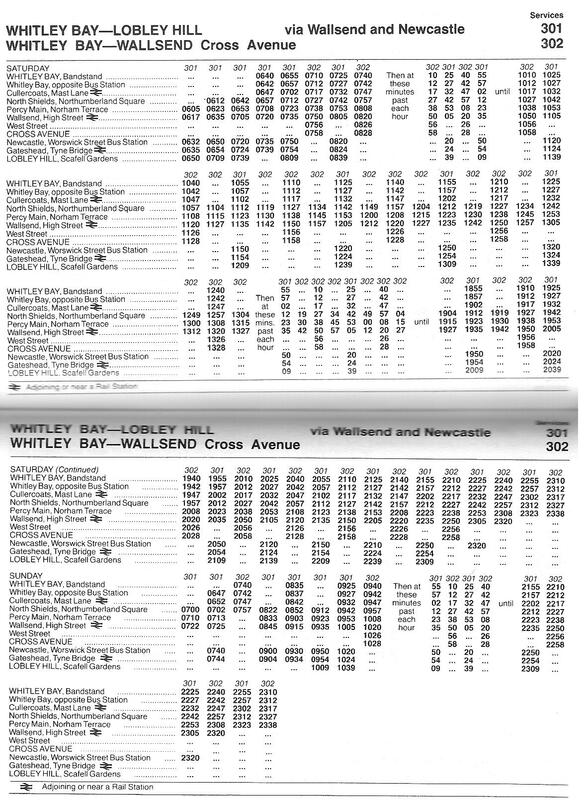 This time we have the 84 which operated from Marlborough Crescent to Throckley via Sandyford and Westerhope. 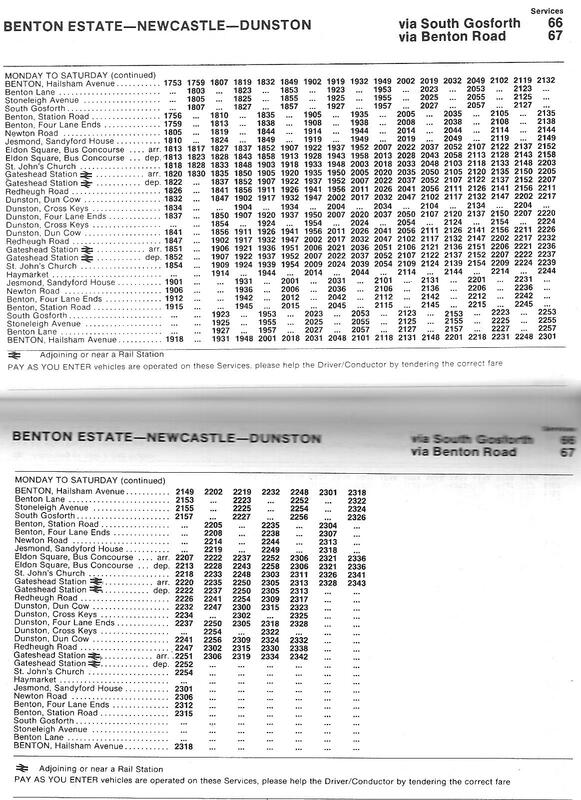 And the 85/86 which operated a circular route serving Slatyford, West Denton and Denton Burn. 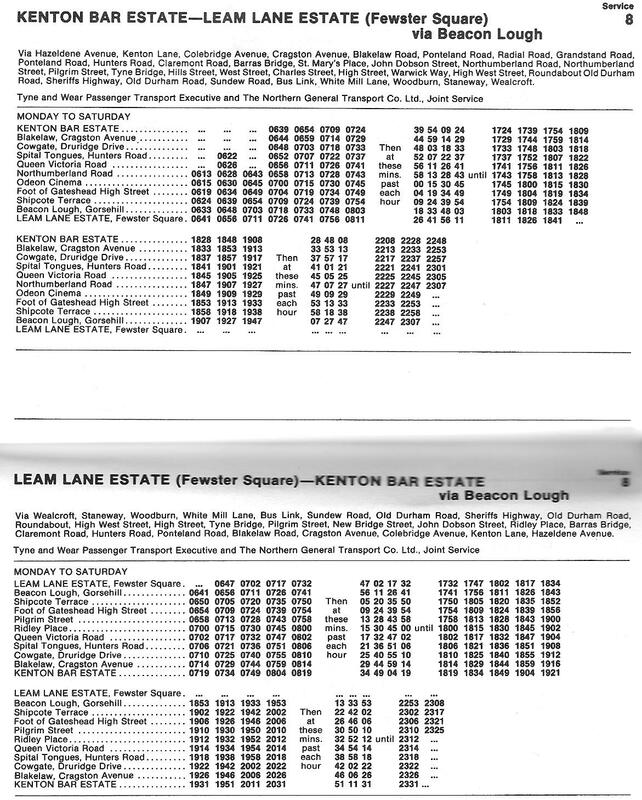 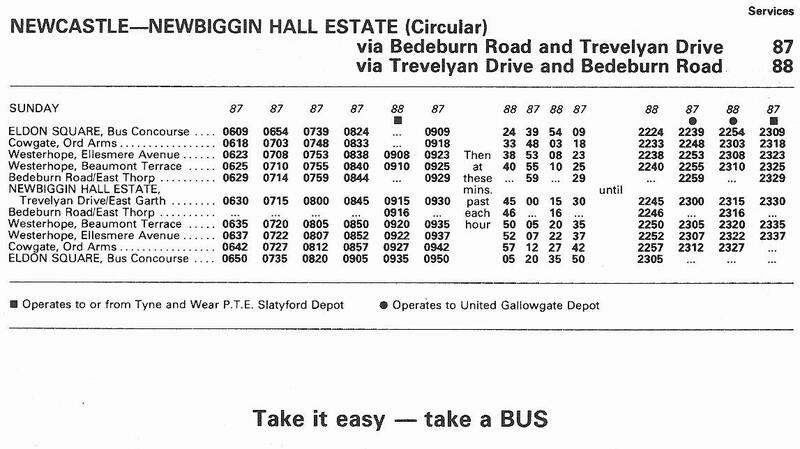 These routes have now been largely absorbed into the Stagecoach operated 11 and 39 services. 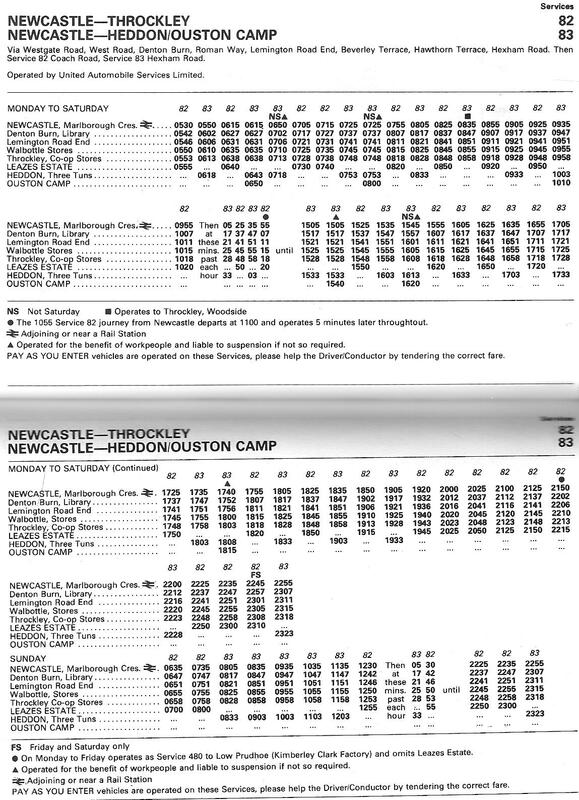 Arriva North East, a successor to United, have recently been awarded a contract by Nexus to operate a route between Throckley and West Denton. 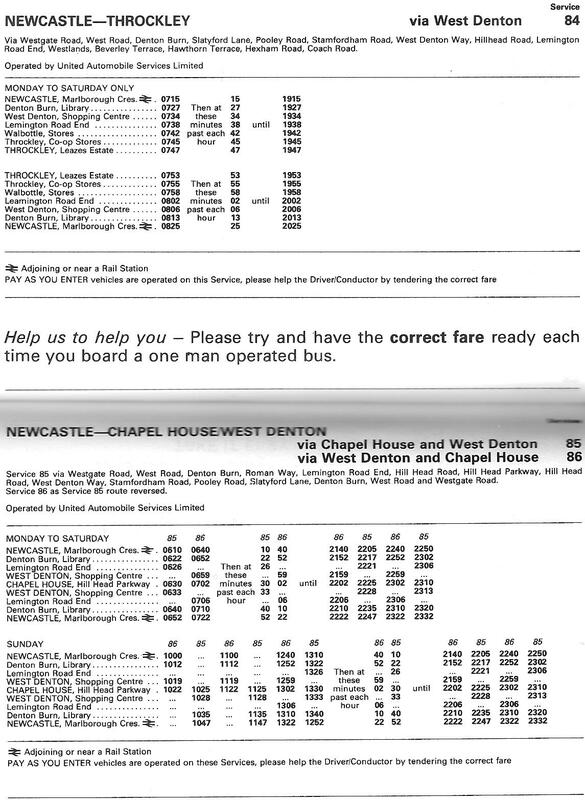 Along with another Nexus contracted service, the 4, Arriva North East/United Automobile Services once again have a presence in West Denton after years and years of inactivity. 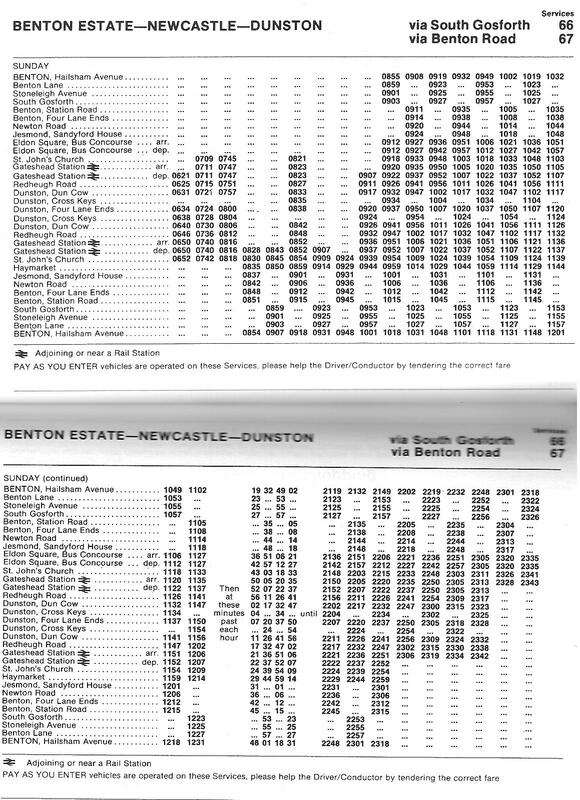 The ‘301’ has seen many changes throughout its route history but it has always maintained its status as a ‘cross-tyne’ service. 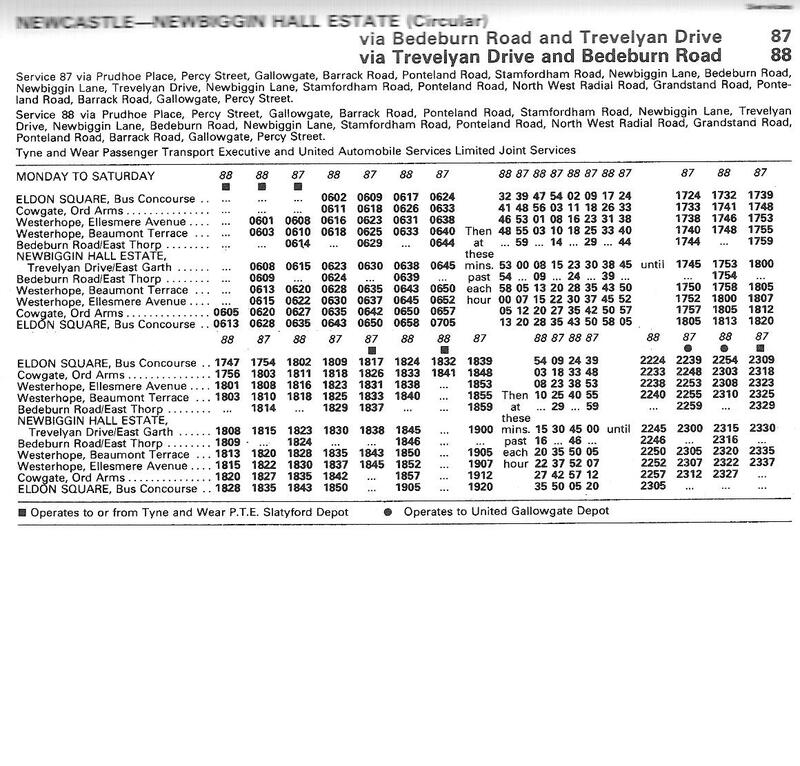 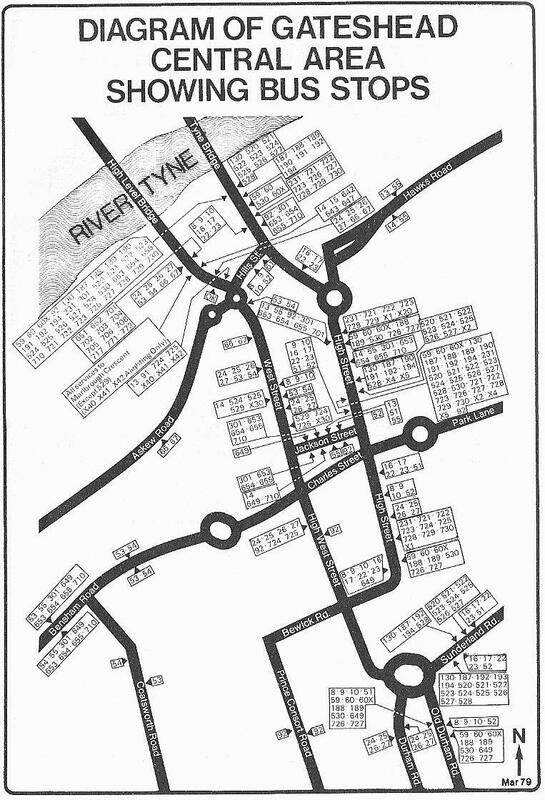 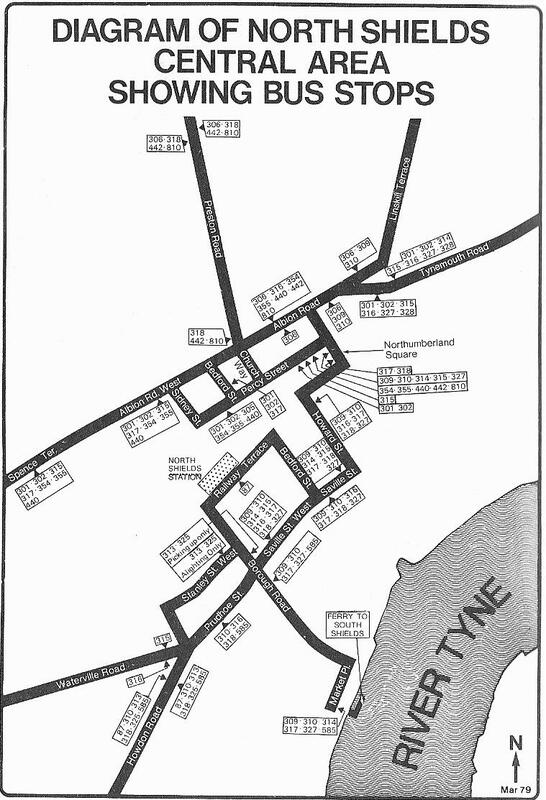 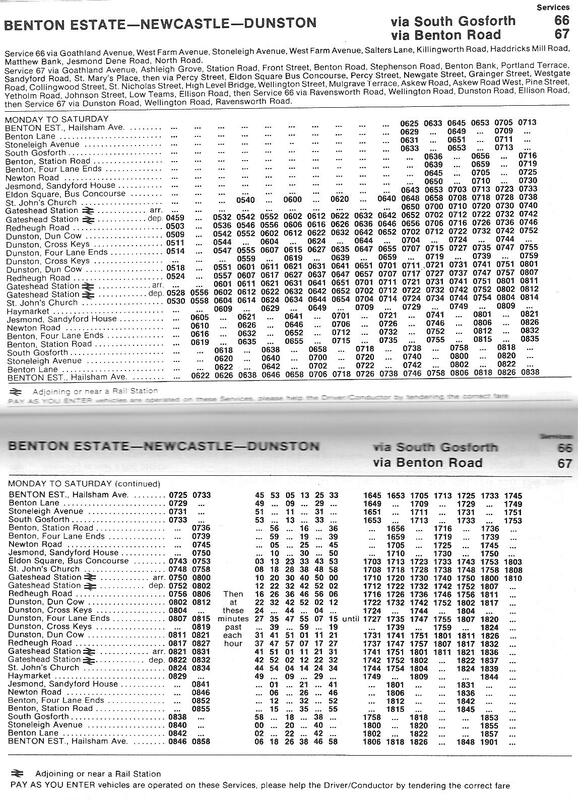 This 1979 version saw it operate from Whitley Bay along its current route (now ‘coaster’ services 1/2 before its recent re-routing through Marden Estate) to Gateshead, then on to Lobley Hill via Bensham Road/Lobley Hill Road terminating at the ‘west-side’ of the estates there. 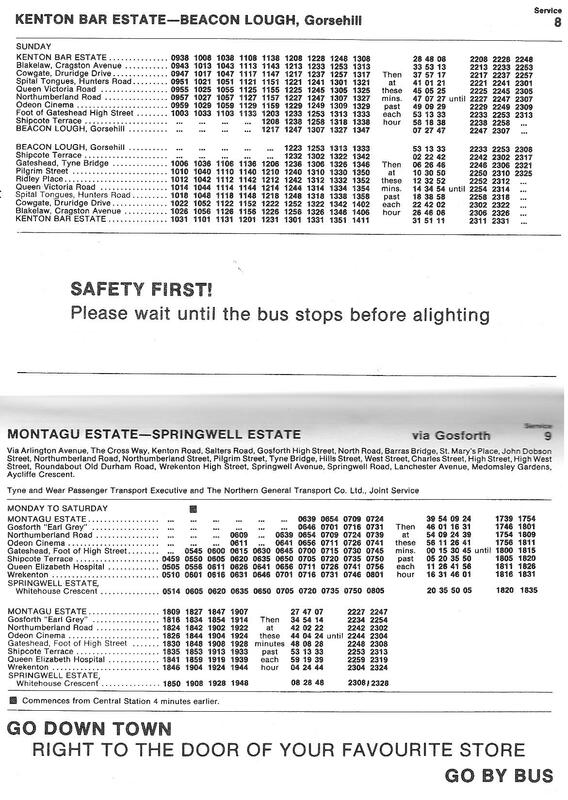 The ‘302’ has seem lots of changes too but the service always seems to integrate with the ‘301’ in some fashion. 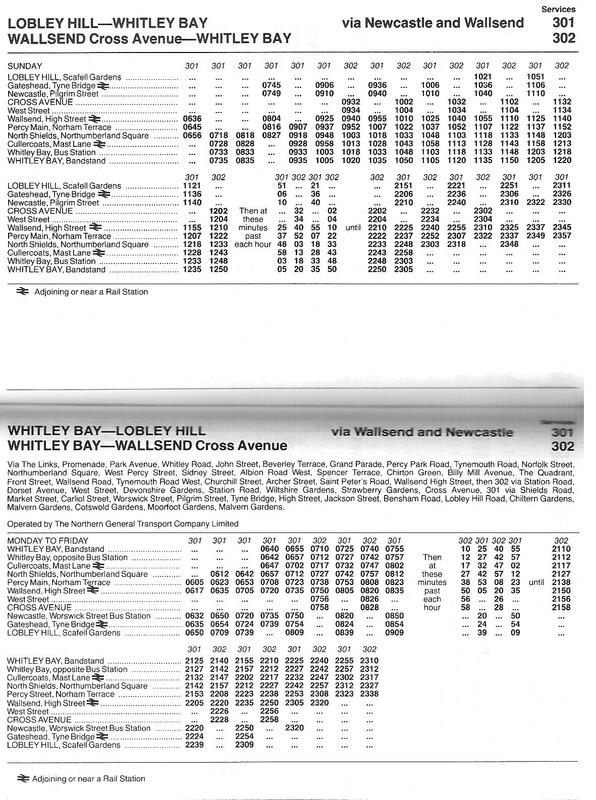 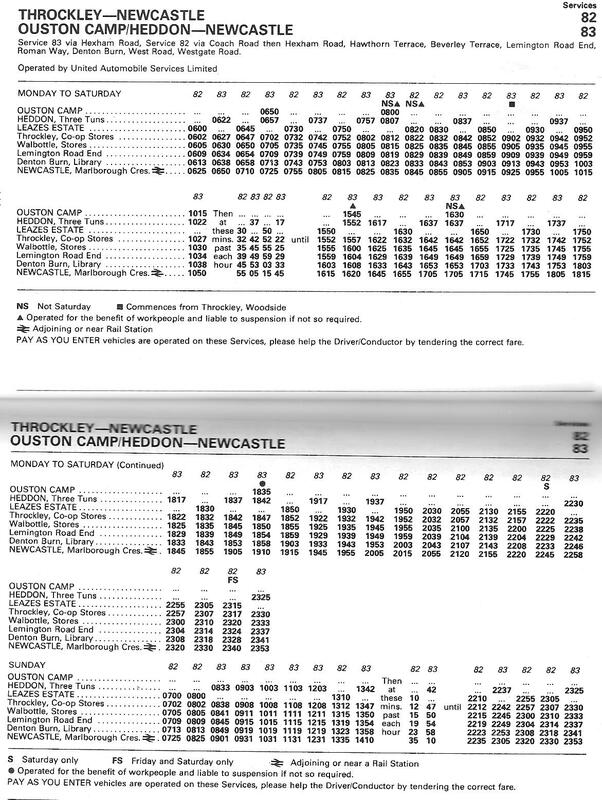 In 1979 it was no different, operating from Whitley Bay to Redesdale Park via North Shields and Wallsend.